Grade 7: £30,738 - £32,600 p.a. 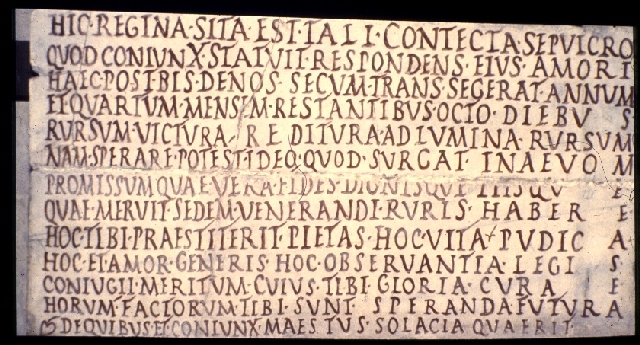 Applications are invited for a full-time Postdoctoral Research Fellowship, to work on the AHRC-funded project 'Facilitating Access to Latin inscriptions in Britain's Oldest Public Museum through Scholarship and Technology'. The post is fixed-term, to cover the period from 1 April 2016 to the end of the project on 31 December 2016. The principal responsibilities of the Research Fellow will be to fulfil the project's impact and public engagement agenda and to complete the development of digital resources (EpiDoc corpus and website) under the direction of Professor Alison Cooley (PI, University of Warwick) and Dr Paul Roberts (Keeper of Greek and Roman Antiquities, Ashmolean Museum). Applications for this vacancy are to be made online via www.recruit.ox.ac.uk<http://www.recruit.ox.ac.uk/> and enter Vacancy ID 122067. Please feel free to contact Alison Cooley for further details.